Puss in Boots DVD and Blu-ray release date was set for February 24, 2012. 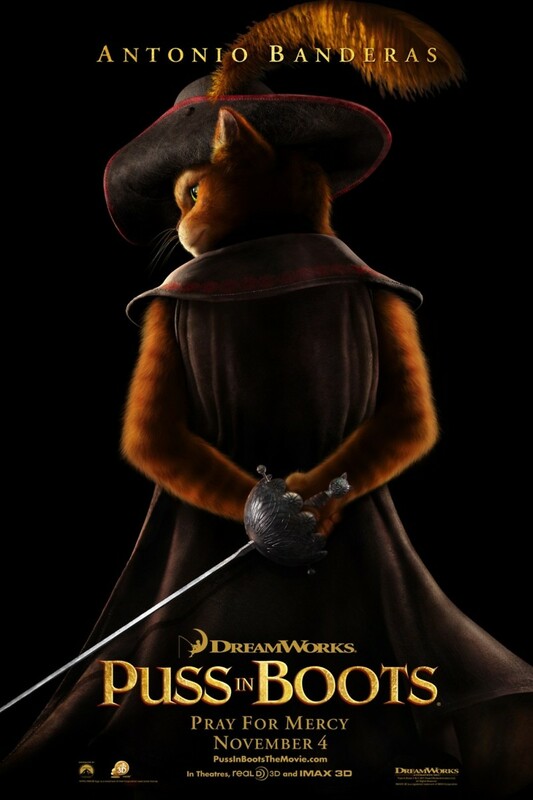 In the Dreamworks movie "Puss in Boots," the charismatic cat introduced in "Shrek 2" becomes the primary character. This classic fairy tale figure voiced by Antonio Banderas is a dynamo with a sword, and his skills with the ladies are just as legendary. This tale is a prequel set several years prior to Puss's meeting with Shrek, so it is populated with an entirely different set of characters, though many are still drawn from traditional fairy tales. In addition to Banderas, Salma Hayek lends her voice talents to this computer animated family film, portraying Puss's love interest Kitty Softpaws. Zach Galifianakis also has a significant role voicing Humpty Alexander Dumpty. Other classic characters to appear include Jack and Jill, the Giant and Little Boy Blue.